Need a "staycation"? You won't want to leave! Situated on an open 4.5 acre lot, this 2600 sq. ft. custom home boasts everything you're looking for in your new residence. A two-story foyer welcomes you to the inviting first floor, an open family room with a gas fireplace, and a bedroom with a half bath. Walk out the french doors to the in-ground pool and large patio oasis, perfect for relaxing and entertaining. On the second floor you will find a large master bedroom with a gorgeous en suite bath featuring a door-less tile shower and soaking tub, two bedrooms, a full bath, laundry room and huge game room. You will be delighted when you head to the huge finished basement, with tile floors, a custom bar area, an additional bedroom and full bathroom, and storage space. Ceiling fans can be found throughout the entire home, as well as beautiful light fixtures. 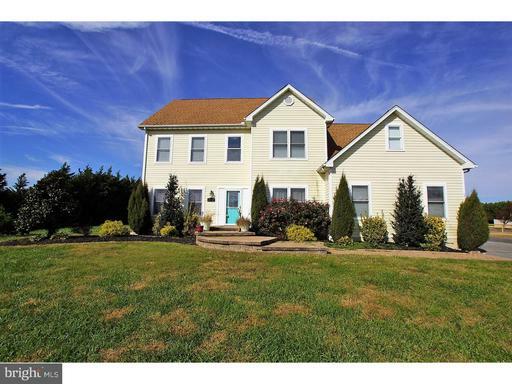 Located in West Dover, out in a peaceful country setting but still within minutes of shopping, Dover High and downtown Dover!